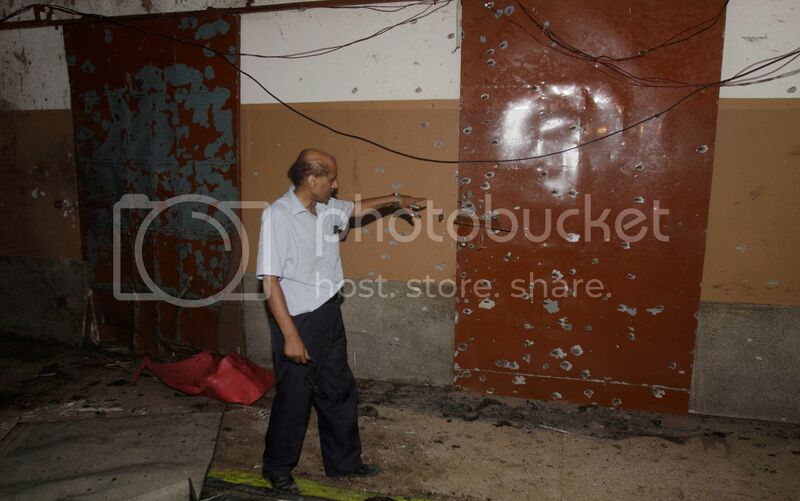 On May 28, 2010, in Lahore, Pakistan, armed men opened indiscriminate fire at worshippers offering Friday prayers. They killed about 100 people. After media outlets broke the news of this gruesome act of violence against ‘Muslims’ offering namaz in a ‘mosque,’ an outpouring of grief and condemnation followed. But as more details of the brutal attack became available, viewers learned that the ‘Muslims’ were Ahmadis—a persecuted religious minority. (Pakistan’s constitution declares Ahmadis to be non-Muslims; laws passed in 1984 make it a criminal offense for Ahmadis to “pose” as Muslims or to refer to their religious gathering sites as mosques.) The media reporting on the Lahore massacre immediately fine-tuned the contents of its reports to describe it as an attack not against Muslims but against Ahmadis who had gathered in their place of worship to participate in religious rituals. Why, in spite of their numerical insignificance (about 3 million out of a total of 180 million Pakistanis), are the Ahmadis widely despised in Pakistan? Ahmadis are followers of Mirza Ghulam Ahmad (1835-1908); they believe him to be the promised messiah and a Prophet in some sense of the term. The claim by Ahmadis that a Prophet—of whatever status or category—came after Prophet Muhammad, who is believed by Muslims to be the last and best of all Prophets, is considered sacrilegious and is highly offensive to a majority of Muslims. Born in Qadian (hence the pejorative term Qadianis and Mirzais for his followers), Mirza Ghulam Ahmad was a reader at the Deputy Commissioner’s office in Sialkot during the early part of his career. Sialkot was at the heart of Christian missionary activity at the time. This introduced Ahmad to Christian literature and led to his lifelong interest in the Bible and the life of Jesus Christ. 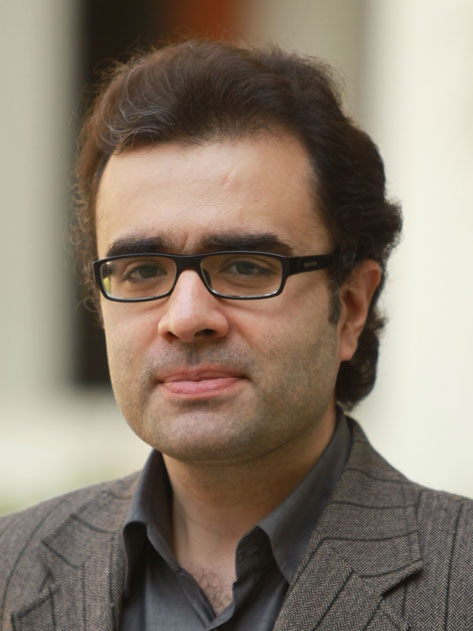 Ahmad started his religious career as a polemicist who was widely respected in Muslim circles for his spirited defense of Islam against Christian missionaries and Hindu extremists. In this regard his book, Barahin-i-Ahmadiyyah, is considered his magnum opus. Ahmad’s transition from a widely respected scholar, polemicist and defender of traditional Islam to a controversial figure was gradual. Initially, Ahmad considered himself a mujaddid (renewer of the Islamic faith) but eventually he claimed to be the Mehdi (guided one) and the Messiah (see Hussain in Resources). Mainstream Islamic belief holds that Jesus went to Heaven from which he will return near the end-times to cleanse the world of infidels, with the support of Mehdi, and establish the superiority of Islam through the power of the sword. Ahmad, however, claimed Jesus had survived crucifixion and that, to escape persecution, he journeyed to India where he died and was buried in Kashmir. The second coming of Jesus and the appearance of Mehdi foretold in Islamic sources, Ahmad argued, were actually prophecies about his (Ahmad’s) advent. With these messianic claims, he ascribed to himself some degree of Prophethood. While Prophet Muhammad was the last and greatest of the law-bearing Prophets and the owner of the seal of Prophethood, there could be non-legislative prophets among his followers whom he considered the best embodiment of his virtues and teachings. In this sense, Ahmad claimed his Prophethood to be a zilli (reflective) and buruzi (manifestational)—one approved by the seal of Prophet Muhammad based on his (Ahmad’s) spiritual eminence and services to Islam. However, a number of Ahmadis continued to believe that Ahmad was referring to himself as a Prophet in a metaphorical sense. This, among other factors, caused a split in the Ahmadi community soon after Ahmad's first successor, Hakim Nur ud Din, died in 1914. The breakaway faction called the Lahori Jamat believed that Mirza Ghulam Ahmad was a great mujaddid of Islam, while the Qadiyani group led by his son and second head of the Ahmadiyyah community, Mirza Bashir-ud-Din Mehmud (1889-1965), believed in his prophetic status as well. The Ahmadis faced fierce opposition especially from the 1920s onwards as they, under the leadership of Mehmud, became increasingly involved in proselytizing missions in India and abroad, and well-placed contributors to public life. Mehmud’s rather careless use of the term kafir for non-Ahmadis—primarily understood among Muslim masses as someone who does not accept Islam—was employed by Muslim scholars to play up religious passions against the Ahmadis. In 1952, various religio-political organizations assembled under the banner of tehrik-i-khatam-i-nabuwwat (movement for the protection of the finality of Prophethood [of Muhammad]) to campaign for the declaration of Ahmadis as non-Muslims and for the removal of Ahmadis from key civil and military posts. The demands came as Pakistan was still working out the finer details of an Islamic constitution. When the Assembly decided to insert language into the constitution specifying that the head of state must be a Muslim, tehrik insisted that Ahmadis be declared non-Muslims to make sure that only a Muslim could become the head of state. The tehrik also reflected the growing sense of frustration, mostly faced by those struggling to rebuild their lives. While they had been uprooted from India to newly-created Pakistan as a result of partition in 1947, the Ahmadis, because of their organizational cohesion and relative affluence and education, were making substantial economic gains in the new state. The movement was also suspected of receiving covert support from the chief minister of Punjab who hoped to topple the central government. Tehrik’s activism reached its peak in March 1953 when it sparked widespread violence resulting in loss of life, especially in the city of Lahore where Martial Law had to be imposed to control the situation. The state, however, rather than acquiescing to the demands of the tehrik protestors, stood its ground and clamped down with the use of force in the name of establishing the writ of law of the state. A similar movement coalesced in 1974 when the elected government of Zulfiqar Ali Bhutto, perhaps anticipating that anti-Ahmadi protestors might turn more violent or in order to score political points, surrendered to the demand of religio-political parties. The Ahmadi issue was discussed in closed sessions of Parliament during August 1974. A unanimous vote by Parliament on September 7, 1974, passed the second constitutional amendment targeting Ahmadis, categorizing them as non-Muslims. Speaking on the occasion, Prime Minister Bhutto triumphantly declared it as "the final solution" of the "90-year old problem.” Astute as he was in his reading and grasp of history, it is hard to believe that Bhutto did not know what he was implying. Whether it was a Freudian slip or Bhutto’s expression of guilt for what was going to happen to Ahmadis in Pakistan, the Ahmadis live under constant threat of violence. Under some sections of the blasphemy law, Ahmadis are denied their fundamental right to practice their religion even though they consider themselves legitimate Muslims. Because of these draconian laws, and because of deeply embedded social hatred and widespread daily persecution of Ahmadis, a significant segment of the community—especially those who were highly educated and affluent—left the country in the 1980s. The head of the Ahmadi community, Mirza Tahir Ahmad, moved to London in 1984. The move proved to be beneficial from an administrative point of view since several hundred thousand Ahmadis living in Western Europe and North America can now contribute more generously to community coffers used to setup and finance proselytizing missions all over the world. The Ahmadi missions, competing with Christians for converts in Western Africa, have been particularly active and successful. The emergence of an Ahmadi diaspora has changed the outlook of the community since it is no longer confined to a small section of Punjabi converts. While the head of the community still dresses in traditional Punjabi attire with a turban and delivers his Friday sermon in Urdu, the second and third generation of Ahmadis growing up abroad are keen on becoming a global community, rather than simply a Pakistani one. As a result, there is now, in addition to the English-speaking diaspora of Ahmadis and converts in North America and Western Europe, a sizeable community of French- and Swahili-speaking Ahmadis in parts of Africa. Meanwhile, those left behind in Pakistan, still the largest number of Ahmadis in the world, continue to suffer not merely because of their relative poverty, but due to the atmosphere of fear and religious oppression in Pakistani society, which has led to their ghettoization. The suffering and persecution of Ahmadis in Pakistan strengthens and motivates members of the diaspora in their global missions, but it does not guarantee a secure future for Ahmadis in Pakistan. Nor does it secure their fundamental human right to practice their religion unmolested. The gradual transformation of Mirza Ghulam Ahmad’s thought has been brilliantly sketched out in Adil Hussain’s From Sufism to Ahmadiyya. A Muslim Minority Movement in South Asia (Bloomington: Indiana University Press, 2015). Yohanan Friedman's The Prophecy Continuous: Aspects of Ahmadi Religious Thought and its Medieval Background (New Delhi: Oxford University Press, 2003) gives a thorough background of Islamic theology and Sufi thought with regard to the concepts of Prophethood and Eschatology.